The Conan Exiles DLC, Treasures of Turan, has launched for the PC and PS4 but will come out on the Xbox One sometime in the future, publisher & developer Funcom announced on Monday. “In addition to more building styles, players will also find new armors and weapons, new warpaints, new placeables such as glittering statues and standing lamps, and two new pack animal pets: the richly adorned caravan Rhino and elephant,” a press release about the Treasures of Turan DLC read. 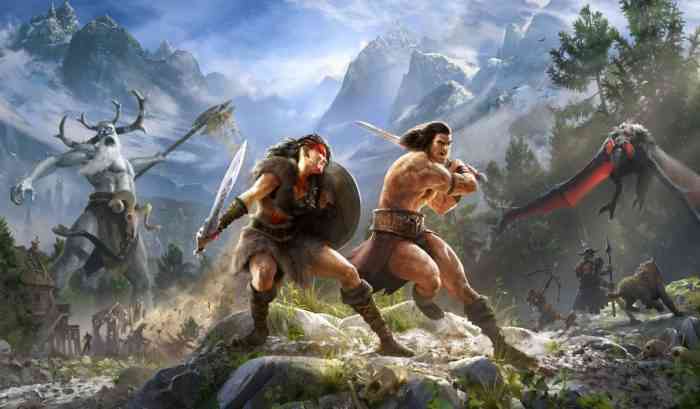 According to the press release, Funcom also announced a Conan Exiles season pass and it’ll include three other DLCs for the game that’ll launch later this year. The DLCs are titled Riders of Hyboria, Blood and Sand, and Mysteries of Acheron.